This product provides an outlook of monthly sea level anomalies for the next one to two seasons. We combine sea level forecasts with astronomical tide predictions to provide more accurate predictions of coastal water level compared to tide predictions alone. This seasonal forecast product is experimental. For short-term forecasts (daily to weekly), please see the High Sea Level Forecast for your region. Neither the seasonal nor the weekly product is accurate when a tsunami or tropical cyclone threatens your coastline. Visualize recent sea level observations from satellites (past 6 months) and predictions from one model (next 6 months) by moving the mouse over the row of numbers below the map. View multi-model forecasts for many islands in the tropical Pacific by clicking tide gauge station labels on the map. Click on the “Tides” or “Impacts” tabs to see how the predicted relative sea level anomaly is likely to alter the astronomical tide cycle and affect the coastline. For more information about this product, please contact Matthew Widlansky. 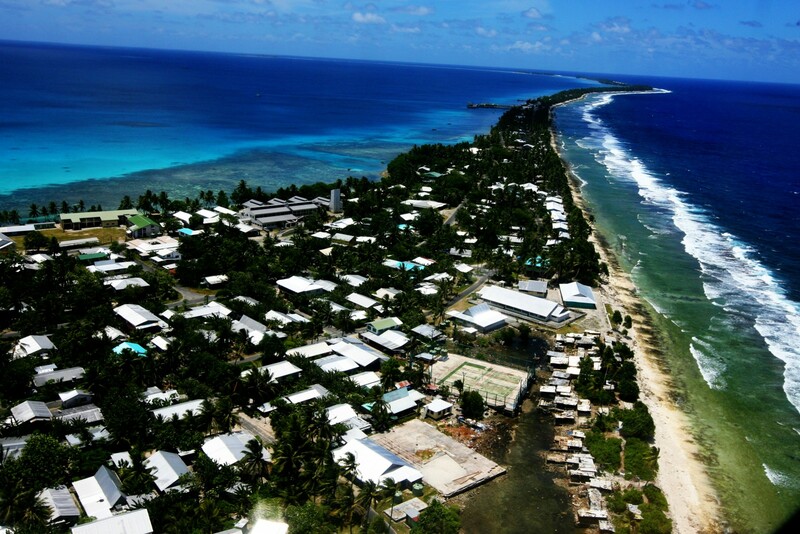 The Multi-model Ensemble Sea Level Forecasts for Tropical Pacific Islands product was developed by a partnership between scientists at the UHSLC, NOAA’s NCEI (Pacific Region) and Pacific ENSO Applications Climate Center, Australia’s Bureau of Meteorology seasonal forecasting operations, and New Zealand’s National Institute of Water and Atmospheric Research. This partnership combines resources to deliver the most recently available sea level predictions from multiple forecast models. By clicking on the map and forecast tab, you can check which models are available this month for each station. Research efforts at the UH Sea Level Center to develop these forecasts were supported by the NOAA Modeling, Analysis, Predictions, and Projections program, the NOAA Ocean Observing and Monitoring Division, and the U.S. Department of the Interior through the Pacific Islands Climate Adaptation Science Center. Climate models are increasingly better able to simulate phenomena, such as the El Niño-Southern Oscillation, shown to be responsible for sea level variability in the tropical Pacific. Utilizing the climate modeling success, each month, we compile sea level predictions into a multi-model forecast ensemble of the monthly sea level anomaly. Compared to forecasts relying on only one model, the multi-model forecasts are less sensitive to individual model errors and, thus, more accurate. A journal article describing the forecasting method, past performance, and potential applications is available here. Forecasts are anomalies with respect to the average annual cycle of sea level for each region. That is, the model-specific climatology (1999–2010) is removed from the forecast. We also remove the recent long-term trend from each model’s prediction (e.g., for forecasts issued in 2017 the 1999–2015 trend is removed). A viewer of how sea level trends change regionally, with time, and between products is available here. For reference, the station forecast plots show the climatology (grey line) and trend (red bar) measured using satellite altimetry. Tidal predictions using harmonic analysis are provided for stations which have at least 24 months of hourly data available during the National Tidal Datum Epoch (NTDE; currently 1983–2001 for most stations). Hourly sea levels are shown with (red) or without (blue) the monthly sea level prediction (green). Sea levels are with respect to the station’s Mean Lower Low Water (MLLW) during the NTDE. The station Tide Tables show the times (Local Standard Time) and magnitudes of the highest and lowest daily tides either with (right column) or without (middle column) the multi-model mean sea level forecast anomaly included. Asterisks indicate extreme sea levels (compared to the highest or lowest 5% of astronomical tides during the NTDE). For each station, we classify the sea level as “below-normal”, “normal”, or “above-normal” according to recent observations (vertical gauge). The multi-model forecast provides a sea level tendency for the next 3 months (“rising”, “falling”, or “continuing” arrows). Impacts of extreme sea levels include coastal inundation (high stands) or reef exposure (low stands). Processing sea level predictions from a variety of forecast models (currently up to six models are available on a monthly basis) allows for improved future outlooks. We are interested to increase the number of models to produce a larger forecast ensemble. 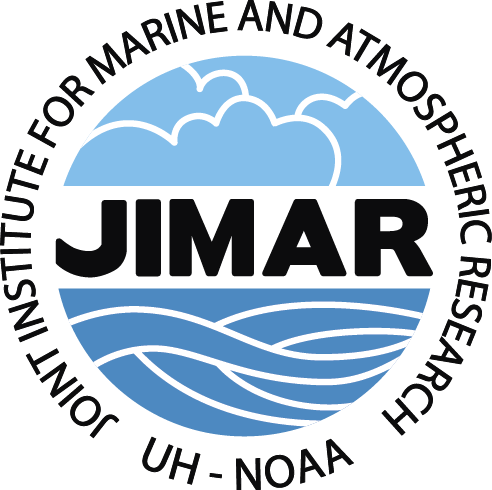 Please contact us if you are interested to provide sea level output from forecast runs of coupled ocean-atmosphere dynamical simulations or have ideas about new statistical forecasting techniques. The UHSLC serves Fast Delivery tide gauge data for most of the forecast stations. An Ancillary database is being developed to provide station datum, tide prediction, and atmospheric sea-level pressure information. Supplementary data such as post-processed satellite altimetry and sea level trend records are available here.